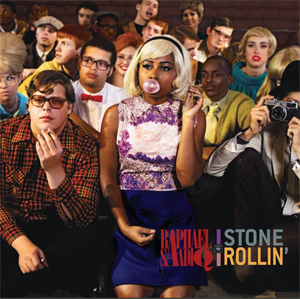 Stone Rollin’, released May of 2011, debuted at No. 1 on Billboard’s R&B chart. Raphael Saadiq, now 45, is on a roll with his fourth studio album. Inspired by Sly Stone, ‘Heart Attack’ kicks off this soul-filled, rock and roll momentum and sets fire to the tone of the entire album. The title track, Stone Rollin’ continues the scorching ride with harmonics, harmonica and back-breaking rump shaking down home juke joint lyrics and drive. Though ‘Day Dreams’ is another standout for its hand clapping foot stomping joy, the entire collection will put a smiley on your bobbing head.